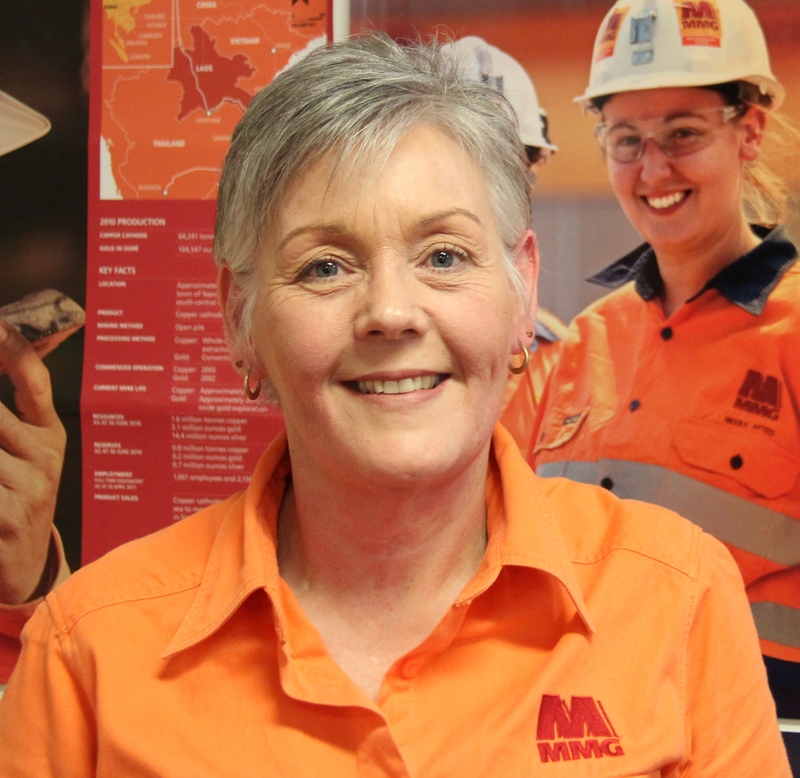 Linda has worked at MMG Rosebery for 19 years, starting out in Accounts and Payroll and then moving into the mining department as an Administrative Assistant and then Human Resources. Five years ago she took on the challenging role of being the General Manager’s Personal Assistant, and has never looked back. The role of Personal Assistant is to be the General Manager’s right hand person and to be the one behind the scenes swiftly getting things done – often with 100 tasks at once. “There’s a lot involved in the job and it ranges from arranging events and functions for staff and their families, to hosting politicians and overseas delegates on mine visits. I get to meet some lovely people,” Linda says. As a fifth generation West Coast mining family, Linda carries on the mining tradition. In addition, her husband, Michael, has worked at MMG since 2008 and currently holds the position of Management Systems Superintendent. Her sons also have strong links to mining and Rosebery. Christopher completed his apprenticeship at MMG as an Electrical Instrument Technician and now works and lives in Burnie and Stephen, a former welder and boiler-maker is studying Geology at the University of Tasmania.